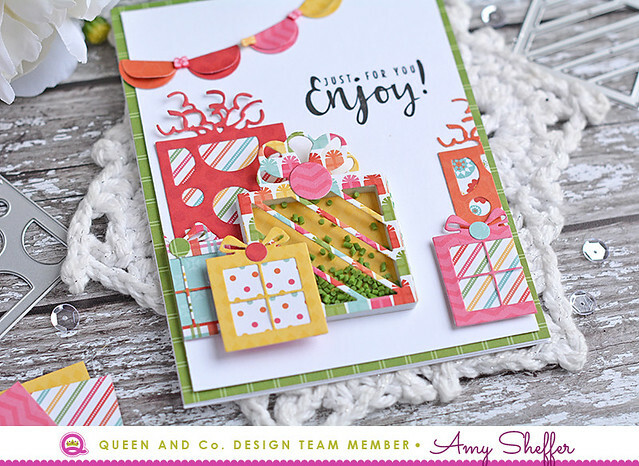 Amy Sheffer here with two ideas for using up all the little bits and pieces that are left over from your Pretty Presents diecuts. I'm talking specifically about the circles and half-circles from the large present and the diagonal stripe cut-outs from the medium presents. For this card, I first arranged a large grouping of colorful gifts along the bottom. So that I could do a lot of overlapping and layering, only one of them is an actual shaker. The rest are just backed with a contrasting pattern from the Pretty Presents paper pad. Next, I created a banner by layering two of the half-circle cutouts from the large package and "stringing" them together with the cute little bow toppings. I finished with a stamped sentiment and a green plaid Pretty Presents mat for the main card panel. For my next card, I was looking at that pile of pieces left over from the diagonal stripe package and thought why not build a pretty pattern out of them? For interest, I arranged them facing different directions and at different heights and alternated between solids and patterns. 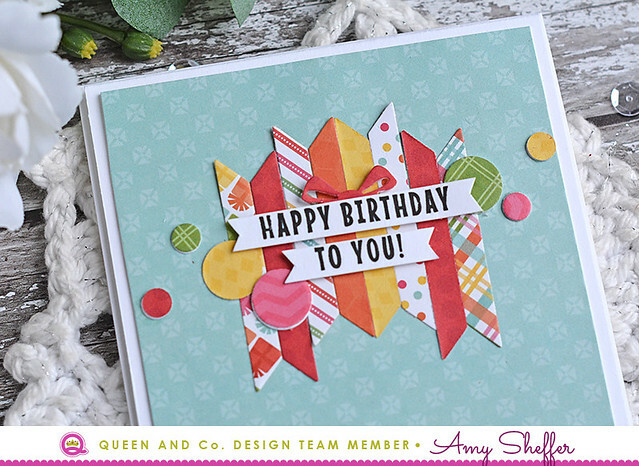 I added a simple stamped sentiment across the grouping, and finished with some colorful circles, also leftover cut-outs from the diecuts, this time the large polka dot present die. Such a simple design, but colorful and fun! 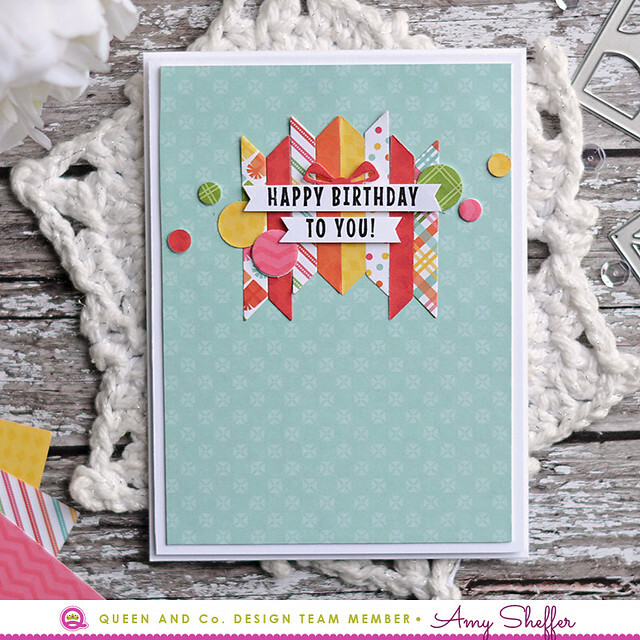 Hard to believe it, but there are 10 different patterns included in this one card design! Supplies: Pretty Presents Kit, white card stock, black ink, foam adhesive.